III.4.3 Pompeii. Casa del Moralista or House of the Moralist or Domus M Epidius Hymenaeus. III.4.2 Pompeii. House of C. Arrius Crescens, T. Arrius Polites and M. Arrius Polites, Arrius Stephanus. The room numbers are those referred to on the pompeiiinpictures pages for III.4.2 and III.4.3. 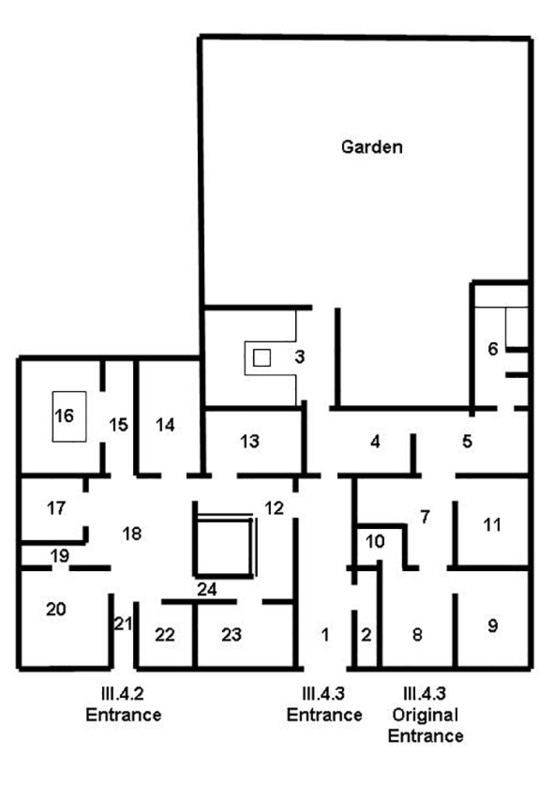 The plan also shows the entrance of III.4.2, the modern entrance of II.4.3 and the blocked original entrance.